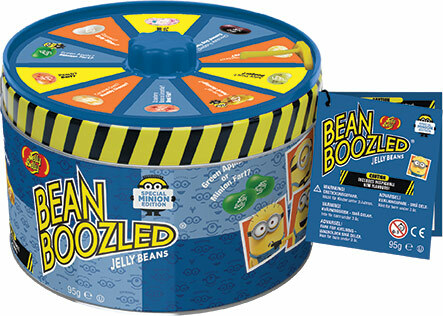 The BeanBoozled Challenge is now at your fingertips! Whether you are traveling or just saving the candy to play again, simply close the lid to reserve your game for later. 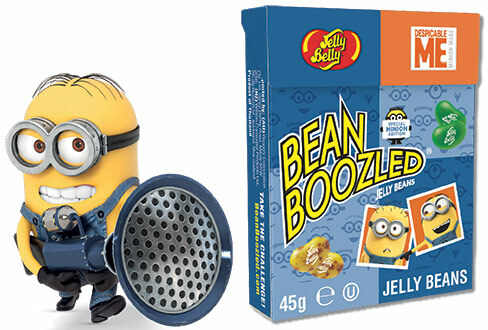 Jelly Belly captures the mischievous spirit of Illumination’s Minions with this special BeanBoozled® Minion Edition, featuring two unique flavours. The infamous game of lookalikes has new challenges for fans of Minions and BeanBoozled alike. Will it be delicious or vicious? There’s only one way to find out! 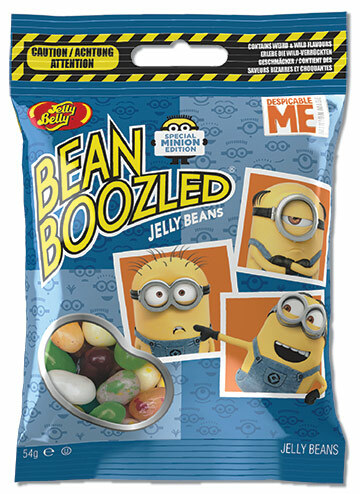 Take the BeanBoozled Challenge on the go with this convenient small bag. Road trip? Birthday party? Dinner party? Spin the wheel on top to discover which jelly bean the player will have to eat. 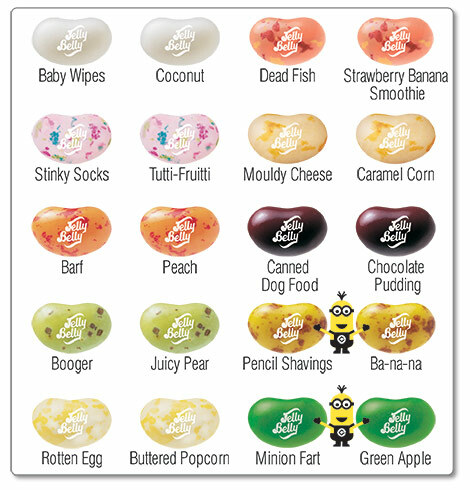 Inside the tin, BeanBoozled jelly beans are packed in small bags for freshness. Give a gift they won’t forget, or add this to your next party for maximum entertainment. 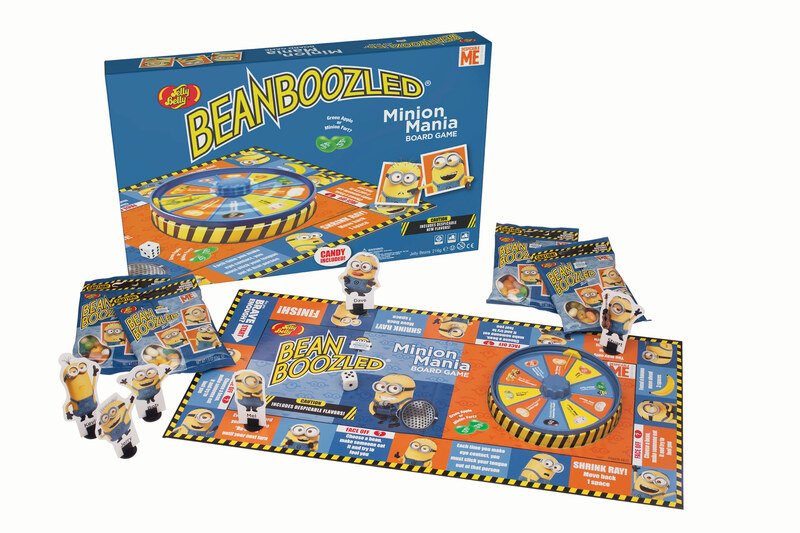 Minion Mania is a hilarious board game that combines BeanBoozled with the humour and entertainment of the iconic Minion characters. Try your luck tasting flavours as you discover fun, new challenges along the way. Unforgettable game nights await!